Each day our skin is exposed to environmental factors that cause damage and make us appear older. To combat the visible signs of aging, the Fleuresse Skin Care System blends stem cell extracts from a rare Swiss Apple with natural botanicals. The result is a system clinically proven to improve skin firmness and reduce the appearance of fine lines and wrinkles. 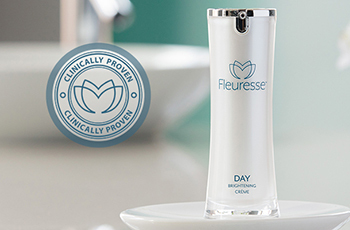 In a clinical trial Fleuresse products increased skin firmness by an average of 28%, and reduced the appearance of wrinkles by an average of 14%. 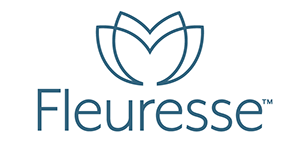 In fact, 100% of those tested felt their skin looked younger and healthier and would recommend Fleuresse to a friend. 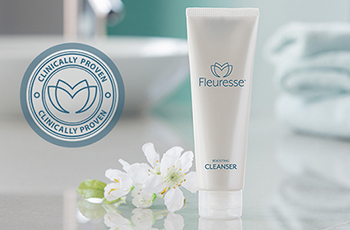 The first step in the Fleuresse Skin Care System, Fleuresse Boosting Cleanser uses natural botanicals, including noni, to clean your skin and prepare it to absorb a rich infusion of vitamins, antioxidants, and amino acids. 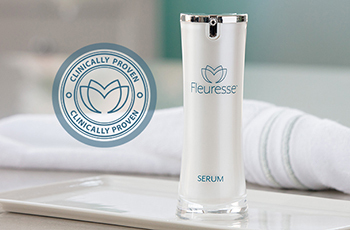 The Fleuresse Serum is applied after the Boosting Cleanser. This Serum is the core of the Fleuresse Skin Care System, and features the highest concentration of Swiss apple plant stem cell extracts. The Serum is scientifically designed to help rejuvenate the skin, protect against fine lines and wrinkles, and reduce the visible signs of aging. Applied in the morning after the Boosting Cleanser and Serum, the Day Brightening Crème provides intense hydration, while calming and nourishing the skin. 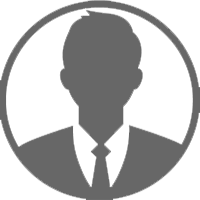 It prevents fine lines and softens the look of existing lines and wrinkles, providing skin with a brighter, more youthful appearance. 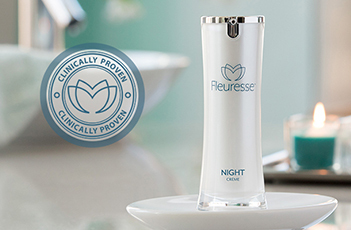 The Fleuresse Night Crème is rich in antioxidants, vitamins, and amino acids, and fights against the inevitable signs of aging skin by hydrating, nourishing, and softening skin while you sleep. 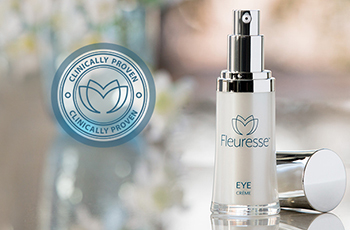 Combating one of the most visible signs of aging and complementing the Fleuresse Skin Care System, Fleuresse Eye Crème reduces the appearance of puffiness and dark circles under the eyes, providing a glowing, more confident look.